“There is but one truly serious philosophical problem and that is suicide”, began revered Philosopher Albert Camus, in his essay “The Myth of Sisyphus”. Camus can easily be regarded as the greatest thinker of the 20th century and his influence on literature, arts and thinking has resonated through modern and postmodern epochs. However, the reality of depression, anhedonia and felo de se has never largely been understood by general masses or has been misunderstood by most. When I lost a friend to suicide, I had to face my grievances coupled with ignorant and disrespectful comments from people who didn’t know him, and had not experienced depression (I wish no one has to go through depression). Comments like, “Am I to feel bad just because he wasn’t brave enough to face life?”, “Life is much harder for many others as compared to him”, “what a sissy” floated around me. And otherwise as well I have seen a lot of people mocking suicide attempts, terming them as attention seeking acts or demeaning a person by pointing towards a breakup or a failed exam, bringing in the adage, “get tough”. I do not intend to target such people and deem them culpable, but I do request the benighted lot to open their minds a little. “Depression is a disorder of mood, so mysteriously painful and elusive in the way it becomes known to the self — to the mediating intellect– as to verge close to being beyond description. It thus remains nearly incomprehensible to those who have not experienced it in its extreme mode.” wrote William Styron in his book ‘Darkness Visible’, a memoir of his battle with depression. I agree with Styron on the inaccessibility of depression to those who have, fortunately, not fought against it. But, the least they can do is be receptive of others afflicted with it, and empathize with them. And thus, I posit that depression is a very urgent disease which needs empathy and love to cure, not your usual tough-nut-psuedo-macho monologues on ‘growing a pair’. Various schools of philosophical thought have battled with the question of suicide for ages. If it is justified, whether it is moral, etc. 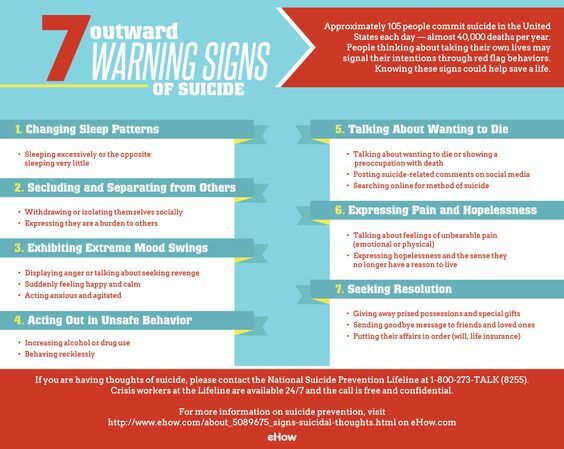 One of the most common argument against suicide is summed up in the old adage, “Suicide is a permanent solution to a temporary problem.” However, to deal efficiently with the problem of suicide, it has to be made lucid under what conditions may a person be committing suicide. I am no expert on philosophy and for the sake of simplicity this article will pertain to introductions to a few schools of philosophical thought upon suicide, especially based upon suicide due to depression and despair. Thus, suicide under coercion, suicide by Samurais called “Seppuku” which was considered honorable in the circumstance of transgression, Buddhist Monks sacrificing themselves for Tibet(or to honor Gautam Buddha), suicides due to religious scriptures, or to seek nirvana or any other form of divine providence etc have not been included in this introductory compilation. Here is a small compilation of what a few schools have to say against suicide. Albert Camus, instead of getting depressed on realizing the meaninglessness of life, felt compelled to enjoy every moment and ordinary happenings of his absurd existence. He said he saw his philosophy as “a lucid invitation to live and to create in the very midst of the desert.” If everything is inherently meaningless, then shouldn’t life’s silent grandeurs be enjoyed, instead of straining ourselves over? This instills in a person, the sense of unrestrained freedom to form his/her own meaning and purpose in life. And this line of reasoning forms the basis of absurd philosophy against suicide. The absurd man faces the uncertainty of life, laughs at it, and rebels against it by not bowing down to pressures to commit suicide. Read Soren Kierkegaard, Albert Camus, Jean Paul Sartre, Nietzsche, Heidegger to know more about absurdism. Humanism seeks a life without religion and dogma. Humanist thoughts use experience, respect for others and reason to base judgments. It recognizes the need for personal happiness and choice, but also seeks to preserve and protect life. A humanist against suicide would not commit suicide, and would carry on living through the toughest phases while also trying to save other lives, as life is the most valuable entity. Albert Einstein, Kurt Vonnegut, Carl Sagan, Richard Dawkins, Michel De Montaigne, Sir Francis Bacon are/were some renowned Humanists. Under moral and political philosophy, social contract tries to address questions regarding the origin of society as we know it, and tries to check the legitimacy of state over individual. In his book Leviathan, Thomas Hobbes forbids taking away one’s life as it is deemed immoral and irrational. do it without a crime, and till I have not the least hope of employing it for your service.” – Jean-Jacques Rousseau in his essay On Suicide. Read Jean-Jacques Rousseau, Emmanuel Kant, Hugo Grotius, John Locke to know more about social contract. Deontology judges the morality of an action based on the action’s adherence to a rule or rules. It is the study of obligations or duties of an individual and judgments are made upon how well those obligations have been fulfilled. Immanuel Kant in his work, ‘Grounding for the Metaphysics of Morals’ introduced a central philosophical concept called ‘Categorical Imperative’ which may be defined as a way of evaluating motivations for action. It includes a lot of formulations, one of which is on suicide. He argues that a man full of despair, on the verge of suicide should ask himself whether taking his own life would not be contrary to his duty to himself. He should also ask himself if universalizing his act would be permissible i.e if everyone behaves in the same way. According to Kant, a person, must not be used “merely as means, but must in all actions always be considered as an end in himself.” Therefore, it is unethical to commit suicide to satisfy oneself. GK Chesterton argues that suicide is “the ultimate and absolute evil, the refusal to take an interest in existence”. It may be deemed unethical and immoral to take away your own life. Liberalism is a political philosophy based on ideas of liberty and equality of masses. John Stuart Mill wrote in his essay, “On Liberty” that the most basic ingredient of liberty is the ability to make choices, and thus, we should not make a choice, which in future disallows us to make other choices. Thus, suicide should be prevented so that our options always stay open. Read John Mill, Voltaire, Ralph Waldo Emerson, Emmanuel Kant, John Locke, Thomas Hobbes for further erudition in Liberalism.